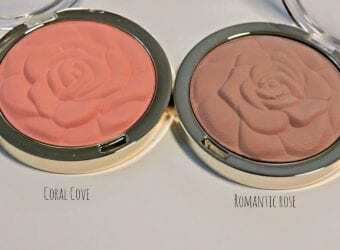 We are absolute beauty product junkies around here. That means we love to try all sorts of new things including hair products which happen to be one of my personal favorites. 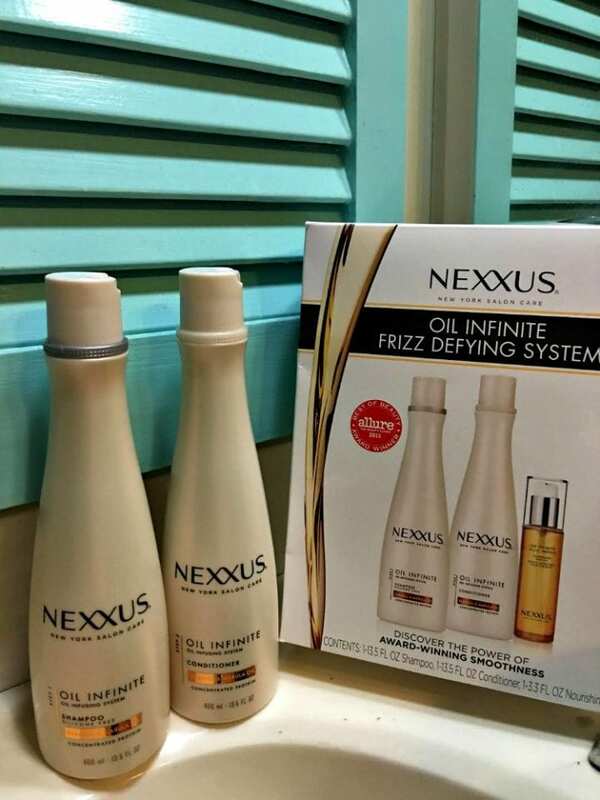 Today we are sharing our thoughts in this Nexxus Oil Infinite Frizz Defying System Review. With Sam’s Club, shoppers can learn about the various Nexxus product regimens and their benefits. 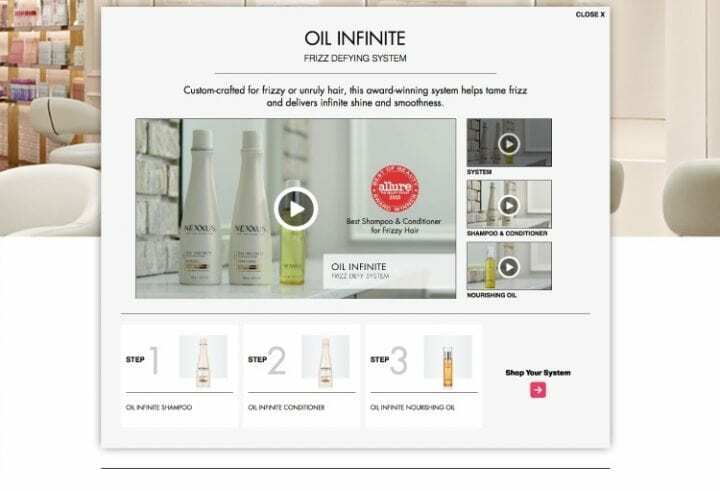 In fact, you can easily take a quiz that walks you through the exact hair products you need. Then you can order right online at SamsClub.com. 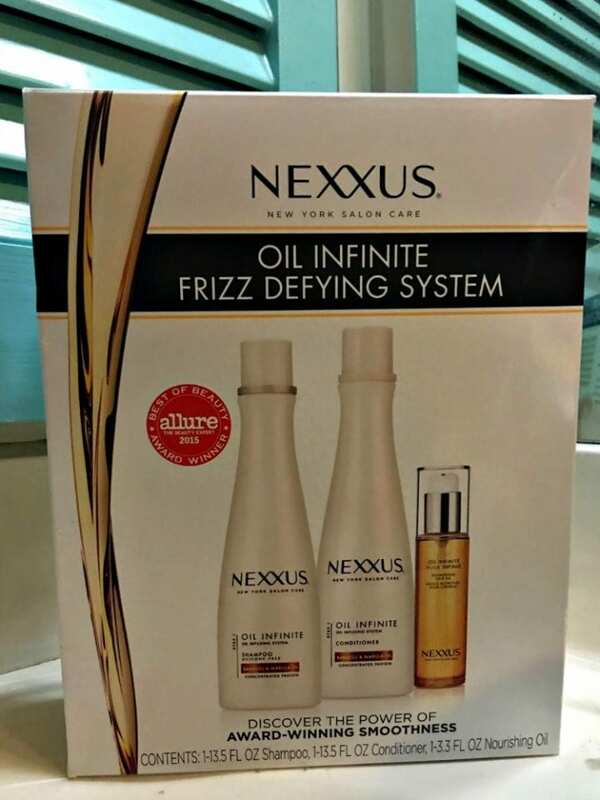 Discover the power of award-winning smoothness with the Nexxus Oil Infinite Frizz Defying System. Custom-crafted for coarse and unruly hair, this powerful system is enriched with Elastin Protein and Babassu and Marula oils, and will help tame frizz and deliver infinite shine and smoothness. Specially formulated to work together as a system. Winner of the Allure Best in Beauty Award, this custom-crafted system helps tame frizz and delivers infinite shine and smoothness. This Nexxus Oil Infinite Oil Infusing Rebalancing Shampoo and Oil Infinite Oil Infusing Restoring Conditioner help nourish and infuse oils into unmanageable, rough hair. The precious oils formula restores the lipid layer of hair plus nourishes for manageability, softness, and reduced frizz. The Silicone-free formula, primes hair for a rich conditioning next step and cleanses, replenishes nutrients, and provides detangling benefits weightlessly without excess residue. The conditioner restores the protective barrier of hair and uses targeted micro silicons that intelligently deposit only where they are needed on the hair fiber. Nexxus Oil Infinite Nourishing Hair Oil helps reduce frizz, enhance softness, and improve maneability for rough or coarse hair. This is infused with a rich 6 oil blend, including Babassu and Marula Oils plus has a powerful formula encapulates hair and nourishes deep within. Also replenishes the lipid layer on the surface for restored natural strength and resilience while restoring hair for manageability and softness. We were thrilled with the results of the system. My hair is much softer yet totally manageable. My waves hold up for the day and still don't look frizzy after the day is done. 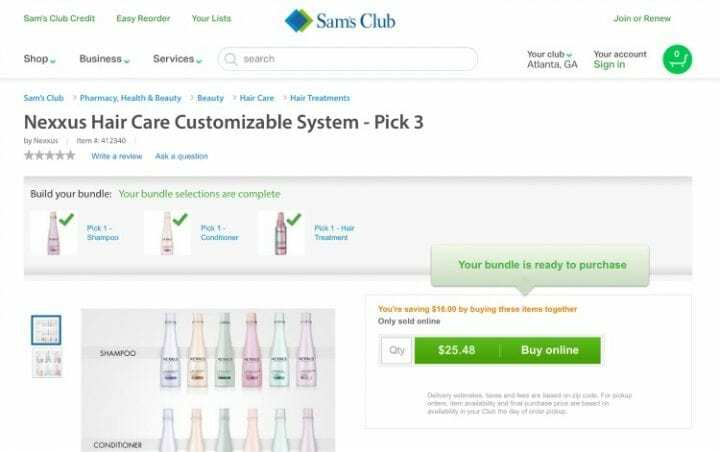 Now when Sam's Club members pick 3 and customize their Nexxus Hair Care System, they can save up to $16 by bundling. Visit SamsClub.com to learn more. Take the quiz to find your perfect Nexxus system and then purchase at Sam's Club. 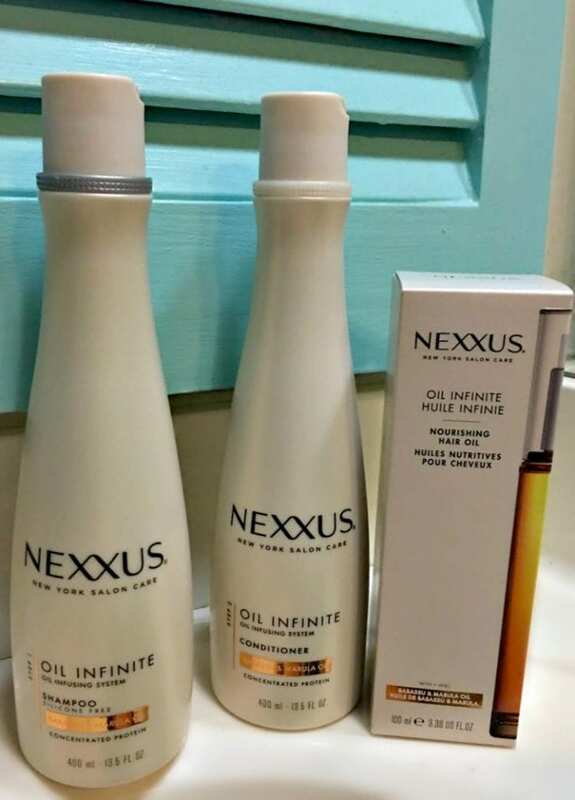 Thanks for reading our Nexxus Oil Infinite Frizz Defying System Review. Next Post »Preparing for the Dog Days of Summer – HVAC: Repair or Replace? I have lots of frizz, especially in this summer humidity. I need to try this. The hot sun and high winds are frizzing everyone’s hair, I think. 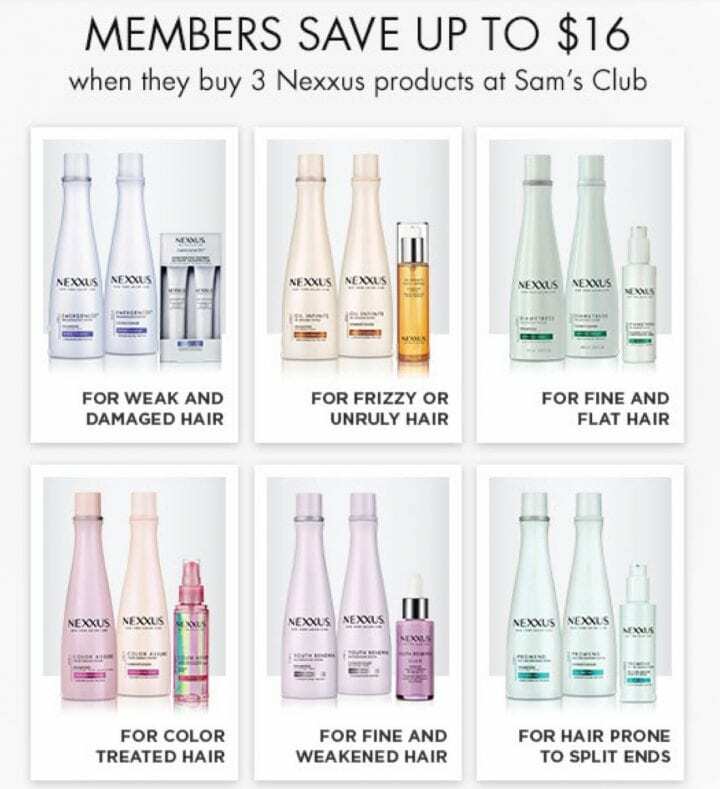 It looks like Nexxus and Sam’s Club has an answer for every hair type. Thanks for the tip! My hair is SO FRIZZY! I cannot wait to try this treatment!! I hate when my hair gets frizzy in the summer. This sounds like something I’ll have to try out! I have heard good things about Nexxus hair care products. I have been thinking about trying them out. My sister has a ton of naturally curly hair and battles frizz quite often. I look forward to sharing information on this Nexxus system with her soon! I’ve been experiencing a lot of hair frizz this summer. These products seem great! I’ll have to check them out. This sounds like an awesome system. I bet it could help a lot with my hair this time of year! It’s good to find the right hair care products that matches your hair. These products sound amazing and you get to enjoy huge savings too! That’s awesome! Oh, this is a nice hair care product. Ever since I gave birth to my son 3 years ago,my hair really feel different. I haven’t tried this product before but I am willing to try it and see how my hair looks after! I am not sure if this product would work on my thick hair. I would love to see a before an after of these results on you. My hair is so damaged lately and this sounds like the frizz taming sort of stuff that my hair needs. I’m going to have to commit to sticking to a solid line like this. I’ve always liked Nexxus. It’s one of the few salon brands I think are worth it. Sounds like a great system. I could use it now with all the heat and humidity!